I’m getting ready to have a baby (in November! Eek!) 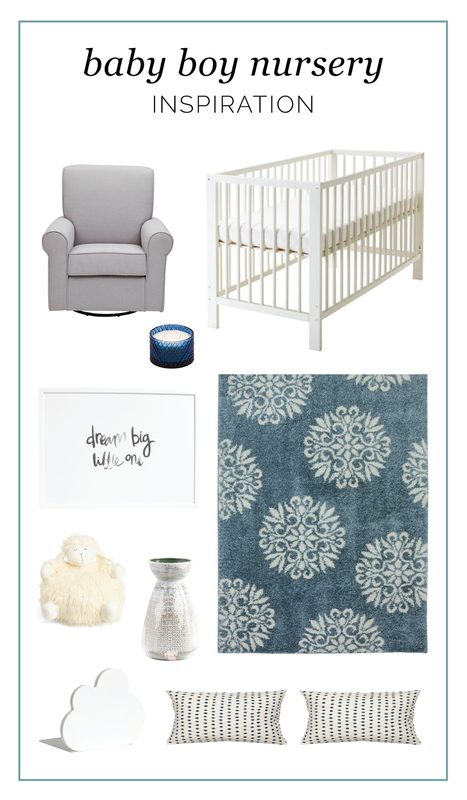 and to fuel my nesting desires, I made a little inspiration board to help me envision what I want the nursery to look like. I was really inspired by this nursery, but I wanted something a little simpler, and I have a slightly different color scheme in mind. This beautiful nursery is from www.lynzyandco.com! I have a really small room to work with, so there won’t be much there besides the crib and a rocker, but I still want to make it a soothing space for the baby. I’m sticking to a gray and white color scheme, with soft navy blue as an accent. I’d love to choose an “animal” that I could get as a stuffed animal or a mobile, kind of as a subtle theme, but I haven’t found the perfect animal yet. To be honest, it’s been a lot harder than I thought it would be to find things that I like. Baby stuff is all so multi-colored and ugly! #firstworldproblems. Hahaha I’ll have to share a picture of the nursery when it’s all finalized! Links to all the items on my inspiration board are below. Everything is from Ikea, Target, and TJ Maxx, so it’s all pretty affordable. One thing I didn’t include on this inspiration board that I would love to find is a vintage rocking horse. I found one that I LOVE from Restoration Hardware, but it was like $600. No thank you! I can’t wait to meet this baby in just a few months! I’ve been on a major organization kick lately. I made a goal to improve my physical environment this year, and to me that meant cleaning and organizing literally everything. It’s been a huge project because (a) I’m already pretty organized and (b) because I have REALLY limited space and A LOT of stuff. So with that introduction, here’s a list of all the things I organized in 2017! Our bathroom is teeny tiny with absolutely no storage. We don’t even have space around the sink to balance my hair straightener. I have to put it on the toilet seat while I do my hair. My goal was to organize everything without making it hard to access anything. I bought these white baskets from Target that fit perfectly on the shelf above the toilet. There’s a big one beneath the sink for toilet paper, but I forgot to get a picture of it. I found a cute hack on Pinterest for storing my makeup brushes. You put rocks in the bottom of a jar so that the brushes stand up on their own. It has actually helped a lot! If you follow me on Instagram, you probably saw me organize this space in real time. It was a little overwhelming because there was SOOOOO much stuff, but I found an awesome tutorial that inspired me to get started. I bought the silver stands/baskets from Amazon and I think they were worth every penny! I love how neat and clean everything is. In my dream world, all of these cleaning supplies would be color-coordinated, like the tutorial. Haha my husband tells me I’m a nut, but I don’t mind! Can I just say that cleaning out the fridge is so gross? I feel like I’ve been pretty good about wiping it down every once in a while, but it was still filthy! I used the same baskets from Target (I’m kind of obsessed, if you couldn’t tell) and I tried to keep it simple. There’s one for cans and leftovers, one for produce, one for cheese and bread, and one for miscellaneous items. I haven’t figured out what to put in the actual produce drawers. We were kind of low on food when I did this, which honestly made it a lot easier to organize! I don’t know what to call this project. We have a built-in bookshelf in our living room with open space underneath that I use for storing big stuff. I have one bin for Christmas decorations, one for sheets and linens, one for extra bags/luggage, and one for creative tools, like my laminator and glue gun. I cleaned out every bin, threw stuff away, and reorganized everything to fit better. Along with these bins, I organized the bin (I refuse to call them tupperwares) with all my harp music. Which led me to organizing . . .
Dun dun dun! This was the most difficult organization task BY FAR. I had binders and books and random copies of music all over the place. They were organized at one time in my life, but not now. Nothing was labeled correctly, all of the sheet protectors were falling apart, it was terrible. I took everything out, recorded the song titles, composers, and parts (solo, duet, what instruments, etc) and then put them in fresh, new sheet protectors in alphabetical order. I’m honestly so proud of this. I have one binder with Christmas music, and one binder of everything else. Everything is labeled and I have a massive table of contents so I know exactly what each binder contains. If you have a lot of music, I highly recommend doing this! It has made me eager to practice again and it also helped me feel accomplished because I have so many beautiful songs in my repertoire. I feel like organizing those spaces won’t be too bad because they’re not food/bathroom areas. I’m excited to see how happy and organized my apartment feels after going through everything and making it new again! One of my favorite things to do is look at home décor blogs and take a "tour" of their home. My home (apartment) is a lot smaller than any of the ones I've seen but I thought it would be fun anyway. Here we go! Note: Because Cob and I live in BYU housing, we really have no control over the design of our apartment. The floors are laminate. The cabinets are fake plastic wood. The counters are black and chippy. There's nothing I can do about that. BUT, I have been able to distract myself from the hideousness of our cheap apartment with some really cute décor. My décor-style is white, soft, American farmhouse/cottage. I should probably add rustic to that list. I could write a whole blogpost about my décor style and what I like and don't like but nobody would read it so I'll just say that right now I’m really into simple, neutral, handmade décor with hints of green and lots of plants and layered things. I also have limited light/cameras/photography skills so sorry if these pictures aren't "blog quality." This is the entrance to our apartment. 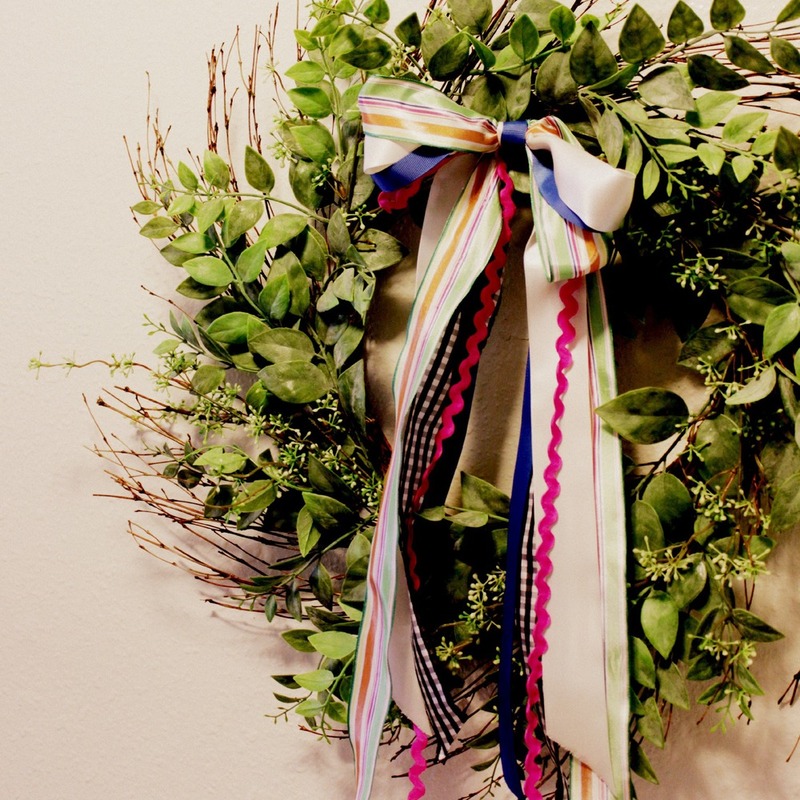 The wreath is an original that I made from a grapevine wreath and some silk flowers. I had a really hard time finding something small enough to put on the ground, but this vase does the trick. I'll put different flowers there when the weather changes. This is what you see when you open the front door. The layout of our apartment is a little weird. You can see the kitchen and most of the living room from the entrance. I don’t love having the kitchen table right there in everybody's face but it's the only thing that works. When we're not eating, I keep the table runner and wicker tray on the table, to help tone down the yellow table top. The chicken wire frame is another DIY project that I'm very proud of. 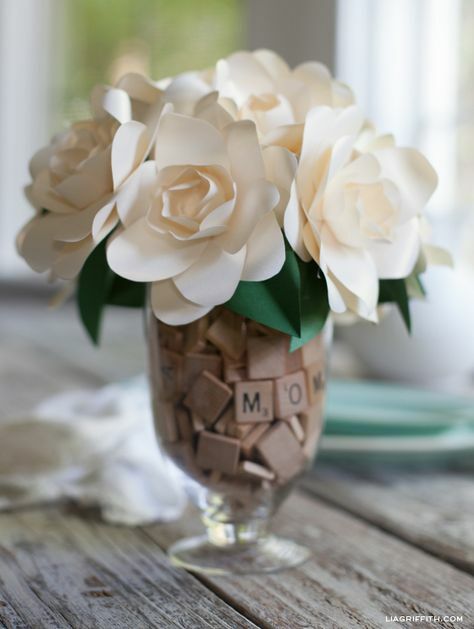 It was super easy and relatively cheap to make and it's just so fun and farmhouse! To the right of the table is the kitchen. Our counter space is limited but I made room for my jars (check out all the different things you can put in them HERE) and our knife set, since we use that all the time. I would like to keep this blue rug in the kitchen, but it gets so dirty so fast I'm not sure if it's worth it! If you turn around in the kitchen, you can see the living room in all it's glory. The beautiful couch is a hand me down from my cousin, Tally, and I feel grateful every day that we don't have the old plaid one from my parent's basement. The long green pillows on the couch are from Home Goods and the others are from Pier 1. I spent more money on pillows than I would have liked, but it's the only spot where I really highlight all the colors in the apartment, so it was really important that everything match perfectly. The one in the middle is my most favorite pillow ever and if anyone ever touches it when they come over I will probably cry. On one side of the couch is a bookshelf and Cob's work area. It's not as decorative as I would like it to be, but there has to be SOME space in this apartment that we can actually use and this is it. Lol. Please notice the books arranged by color. On the other side of the couch is a filing cabinet. I have a bunch of my favorite pictures and prints framed and displayed on top. One of my favorite things to do is rip pictures out of magazines for the frames at the back of the table. It's a lot easier than printing large pictures and it's a lot cheaper! Sitting in front of the couch is our coffee table. The coffee table was a gift handmade by my brother, Andrew. I LOVE IT SO MUCH. I love the light wood and the white top. I was surprised how well it matched everything else in our apartment. Down the hall we have the bathroom and bedroom which are not quite ready to be showcased. (I don't think the bathroom will ever be ready to showcase.) I'm working on redesigning the bedroom right now and then I'll take some pictures and take you on a tour there! Kind of obsessed with this little cake stand. I just had to post a picture of it. I hope someone besides me enjoyed looking at my apartment! Thanks for visiting! As many of you may know, I have recently redecorated my entire apartment. I had a very specific look I wanted to achieve and part of that included glass jars and vases filled with different items. I filled my jars with these green fuzzy moss balls I got a TJ Maxx. But I have several other ideas for what you could put in a jar. I made an entire list, in fact, so as to help other jar-fillers. Here you go! Is there anything I missed? 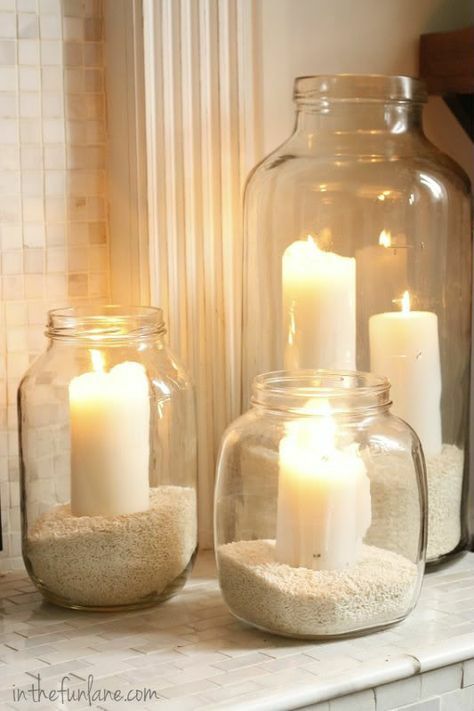 I love jars! Let me preface this post by saying that I am not an interior decorator. I love decorating and rearranging my apartment frequently because it gives me a new perspective on life and renews my love for my home. When it comes to finding the right decor, my main goal is just to make the room HAPPY and COMFORTABLE. I don't really have the money to make my house look like a Restoration Hardware (nor would I want to, it's not my style) but I have the time/creativity/determination to do other fun things. Check out some of my favorite decorations below! 2. Garlands. I don't have a fireplace in my apartment, so I just hang garlands over the big window in our living room. Right now there's a garland I made by cutting out felt hearts and threading bakers twine through them, but normally I just get a bunch of colorful ribbons, gather them together, and tie bows at either end. 3. Books. You can buy lots of pretty vintage-looking books at the DI for $1 or less, and public libraries have book sales all the time. I have found some really great ones! Some of my favorites include: A collection of classic poetry, "The Readers' Digest Keys to Happiness," and a funny old memoir called "The Nuns' Story." You can put display books by themselves or style them with plants and picture frames. 4. Pillows and blankets. This is a slightly more expensive option because I've always been afraid to buy pillows at thrift stores. But it seems like moms and grandmothers are always getting rid of their pillows and I've collected quite a few from them, as well as some cute ones I got at TJ Maxx. It's just another easy (and COMFORTABLE) way to bring more color and life into your home. 5. Sticks. Sticks are FREE and they look good anywhere! Find some tall ones and put them in the corner. Get some short ones and put them on the table. During Thanksgiving, I cut out leaves out of construction paper and wrote down things I'm grateful for and put them on the sticks as a little grateful tree. Be creative. 6. Music. I know you can't see music, but it makes a huge difference in the mood of your home and it's definitely free. It's also a quick fix when you have unexpected company. Decoration ideas for a small home or apartment. Really practical and cute suggestions! 7. Frames and pictures. You can find frames of all sizes at thrift stores and fill them with whatever pictures or quotes you like. Pinterest is stuffed with free printables and vintage posters if you just search for them. I do have to warn you that with thrift-store frames, you will have a more messy, eclectic style. I mean if you're crafty you can spray paint everything and make it consistent but personally, I think it's kind of fun to have lots of different styles. 8. Knick-knacks. I really believe you can get away with cheap decorations as long as they are meaningful to YOU. We have this hideous mummified frog that I bought for Cob in Mexico that I LOVE because of all the happy memories and conversations it has been a part of. We also have several pictures of the Charles bridge in Prague because that's where Cob served his mission. My apartment does not look expensive but it looks like me and it makes me happy to be there and that's all that counts! I found this article on buzzfeed about decorating your cubicle but I think a lot of the advice could be applied to apartment decorations too!